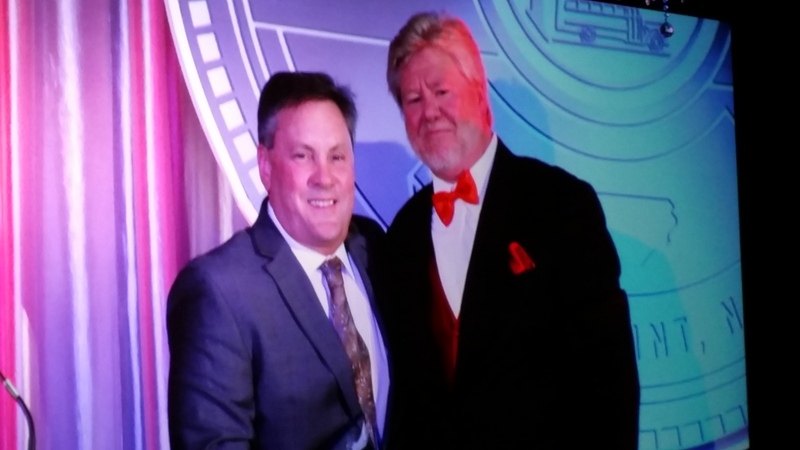 Veteran Matthews Buses School Bus Sales Professional Mark Hanrahan achieved Gold Eagle status in 2015 and was recognized for reaching that milestone at the Thomas Built Buses Dealer Meeting in Greensboro, NC on April 11, 2016. 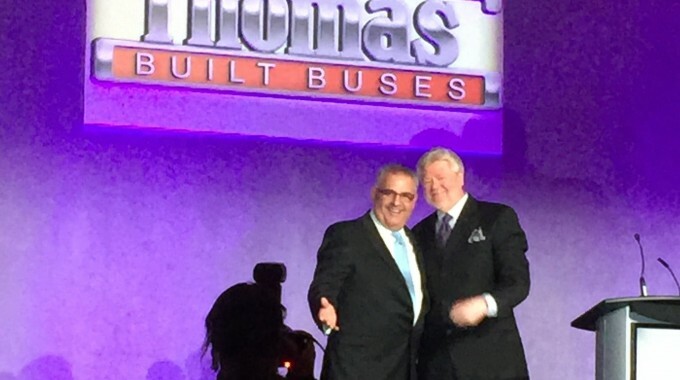 In a ceremony presided over by David Nethercut, Thomas Built Buses’ Manager of Sales Education, Mark received an engraved plaque, the “Gold Eagle” sculpture, and a gold “Wings of Eagles” ring. 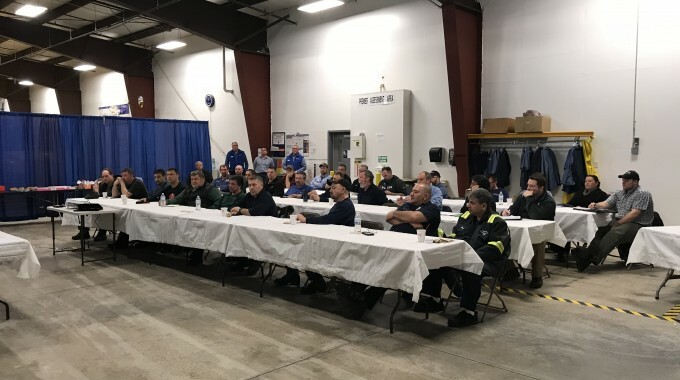 The Wings of Eagles program includes five levels of achievement, ranging from Sales Eagle to Eagle’s Nest with membership based upon training, demonstration of buses, specification writing, and sale of buses. Gold Eagle criteria include over 200 hours of training, at least 250 quotes, 250 or more demonstrations and sales sufficient to meet the minimum 1500 points required. 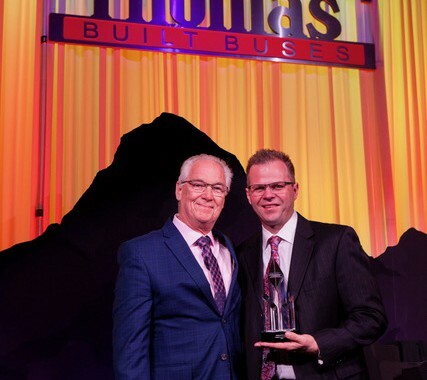 Mark’s vast point total, accumulated in more than a decade and a half at Matthews Buses, assured him if this prestigious honor.